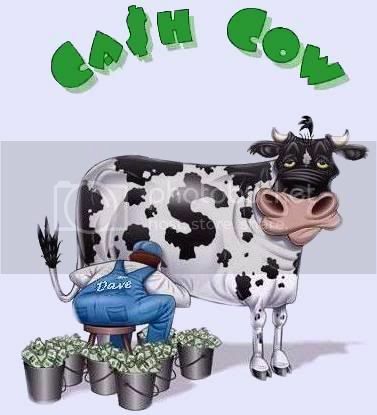 CASH COW n. Slang: A steady dependable source of funds or income.... BYOB - Bring Your Own Buckets! WELCOME!..we use chart TA and other scanning tools to catch those BIG MOOOO-VERS early! Let's make some MASSIVE BANK! FOR TRADING SHARE INFORMATION , DAILY OR PREVIOUS DAILY TRADING. assume NO responsibility for the actions, investment decisions, and or messages posted on this forum.